Swedish Justice Minister Morgan Johansson has promised to put more pressure on social media giants Facebook and YouTube owner Google to remove illegal “hate speech” material. 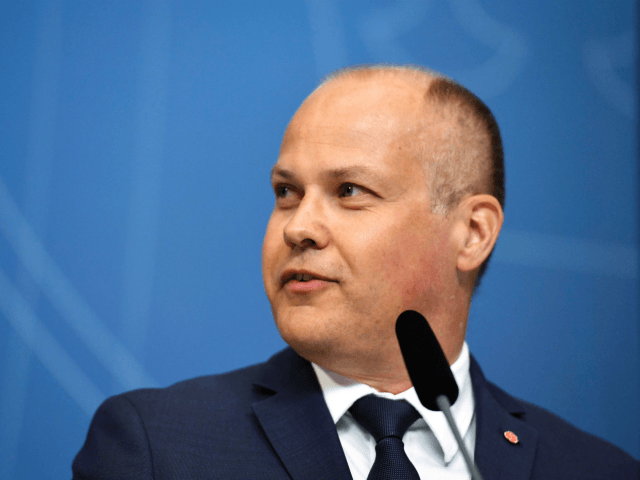 The Minister’s remarks come after many in the Swedish media railed against YouTube over right-wing channels that they had claimed were harassing them, Swedish public broadcaster SVT reports. “I think that in any case, we must increase the pressure on the internet giants. They allow the unlawful material to remain. Then we will not have it. We have freedom of opinion. But Nazism is no opinion. It is a crime against humanity,” Mr. Johansson said. “When spreading that kind of extreme opinion, sometimes calling for violence and threatening groups, it’s illegal,” he added. Johansson also mentioned that he would be working with the European Union Commission on the issue. “The EU Commissioner responsible comes here on Thursday. Then we will continue the discussion that threatens online giants with EU legislation if you do not get better at grabbing this extreme material,” he said. The Swedish government has made it a priority to crack down on hate speech and on so-called “fake news” ahead of this year’s national election. Last year the government announced it would be handing out millions of Swedish Krona in cash to organisations including various mainstream media outlets to fight the spread of fake news. Private organisations have also been working to report people for hate speech online including the group Näthatsgranskaren which is said to be behind a rapid increase in reports of hate speech to authorities. The man behind the group, Tomas Åberg, was recently nominated by mainstream newspaper Aftonbladet for their “Swedish Hero” award as he reported around 750 cases of hate speech to the police. Åberg admitted in a separate interview that many of the people who he reported were women over the age of 65. Näthatsgranskaren also receives funding from the EU.